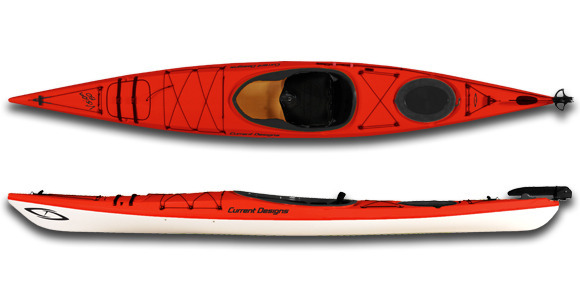 Current Designs kayaks are the perfect mix of form and function. As the leading builder of premium kayaks in the world, Current Designs use the latest materials and technologies to create kayaks that are the envy of everyone on the water. Stable, manoeuvrable and also user friendly, recreational kayaks are perfect for small lakes and slow rivers where nimble handling is more important than speed and capacity for gear. These kayaks feature large cockpits as well as ample leg room. A blend of the aspects of recreational and touring kayaks, Transitional kayaks favour turning and stability on calm waters. They have upturned bows and medium sized cockpits with thigh braces for better handling in rough conditions. Perfect for the developing paddler. Designed for efficient paddling in a wide variety of conditions. Touring Kayaks are faster and have more capacity than Recreational or Transitional kayaks. This is a big category, and most paddlers will be well-served by a design that falls within it. Designed for highly specific uses, these kayaks are less versatile than our other designs, but for certain paddlers these are ideal.